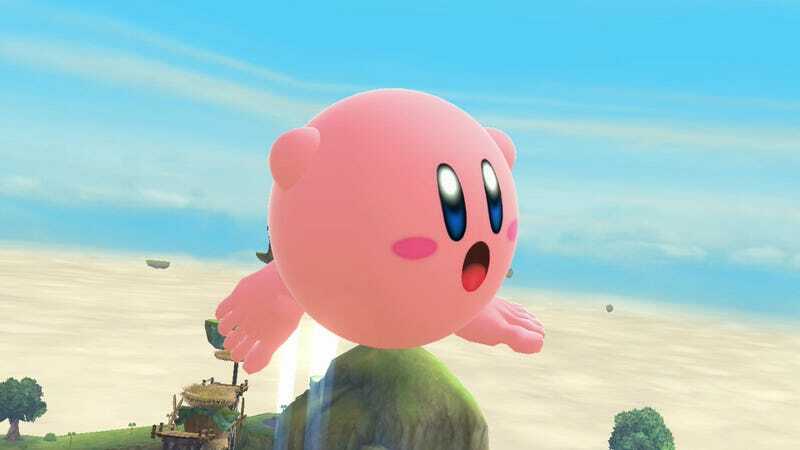 Modder Adds Kirby With Human Feet To Smash Bros. Someone made a mod for Super Smash Brothers of Kirby with realistic feet. It is so disturbing. When fanart of barefoot Kirby with old man feet took the internet by storm, all my coworkers and I had pretty much had it. Was it hilarious? Sure. Is it a vision that creeps into my subconscious as I try to float off into sleep, haunting me? Yes. So of course, it had to be taken to another level—here’s a 3D rendering of this abomination, available for download for Super Smash Brothers for Wii U. It is worth seeing it in motion in the same way it’s worth slowing down to watch a car burst into flames. The mod isn’t perfect—the feet kind of float away from Kirby’s body—but it doesn’t need to be perfect to really bring the horrifying image to life. LuckyJero, the creator of this mod, says that they’re not going to fix any of the minor graphical imperfections because the mod is just a joke. I mean, no one asked for this and no one needed it, but I guess thank goodness for small favors? Imagine a version of this mod that has even more fidelity to reality. No thank you.